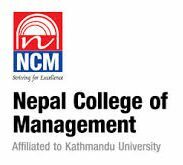 Nepal College of Management (NCM), promoted by Gurukul Education Foundation and affiliated to Kathmandu University (KU), was established in August 1999 with the goal of imparting excellent learning in business education. NCM, located at Dhobighat, is an educational institution of higher learning. It maintains a very special place in the academic landscape of Nepal. The students of college lies in continuous endeavor to raise above the standards of excellence we continuously redefine for itself and the students in turn. In striving to keep ourselves and our students at the helm of the latest in academics and technology, we do not forget that much of what goes into the making of the successful person is a healthy mind set and strong values. In addition to the holistic grooming of our students, we encourage students to pursue their intellectual activity which could most often overstep the boundaries of the classroom. NCM also attempts to follow the rule of The Education Act 1998 which states that Boards of Management must encourage and give all reasonable assistance to students in the information and running of student councils. Student council was first published in 2002 by Department of Education and Science. It is a group of student leaders who work with an adult supervisor to collaborate with others to impact their school or college community, city or town, state our country and which changes the world. Student council is a representative body composed chiefly of students chosen by their classmates to organize social and extra-curricular activities and to participate in the social programs. According to the Working group of student council, a student council is a representative structure for students only, through which they can become involved in the affairs of the school, working in partnership with school management, staff and parents for the benefit of the school and its students. All of the partners in education, including students are represented on this group. NCM student council was first established in 2005. It provides an opportunity for students to engage in a structured partnership with teachers, parents and school managers in the operation of their school. Research indicates that student council can improve academic standard and reduce dropout rates in schools. The establishment of NCM student council gives students an opportunity to acquire the sort of communication, planning and organizational skills which will be of benefit to them in their future lives. The various activities are identified by the NCM student Council with the consent of the management of the college. It should communicate and consult with all the students in the college, involve as many students as possible in the activities of the council, plan and manage the council’s program of activities for the year, and manage and account for any funds raised by the council. It also enables students to take responsibility for projects and to demonstrate that they can manage and bring such projects to successful conclusion. The Board of Management rules will set out the procedures governing the nomination of candidates. The provision will be made for the third year to nominate candidates, whether those candidates are going forward for election. The timing of the elections will be determined by the college management and the students will be given reasonable advance notice so as to enable nominations to be made by individuals. At first, conducting a meeting with a principal of the college is a must before an election. All the students of the third year should be informed about setting up a student council. The students from the third year can become candidates of the post they are interested and willing to perform in. The non-candidates from the same year vote for the suitable candidates without any biasness in their vote. Voting may, at the discretion of college management, takes place after classes are finished. Voting should be carried out by the means of secret ballot, and the counting of votes should be carried out under the supervision of the teacher as arranged by college management. In this way, the members of the student council are selected. NCM Student Council consists of Executives and club heads. The class representatives are two democratically elected students from each class in the college. They are expected to bring forward their classmates’ views to the council. There are four student council representatives: two from 1st year and the other two from the 2nd year who are appointed by executives to communicate the views of the council to staff and management and represent the views of management in the council. They are Sayana Khatun and from the first year and Anushka Joshi and Roshan Niraula from the second year. The student council representatives are the officers of the council who carry on the day-to-day work of the council between meetings. The business of directing the NCM falls to a group of seven students, who are all elected annually by other students. They manage all the budget, and they represent the students of NCM in the media and in negotiations with the University. Okay, but what do they actually do? Below is a breakdown of the different executive positions. Here is a list of the people currently filling them. 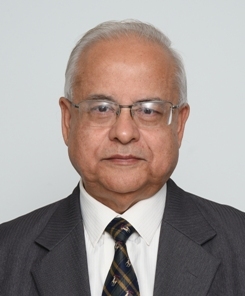 The President is the chairperson of the council and represents the council at functions, meetings and other programs of the college. He or she is assisted in this regard by the Vice President who acts as on behalf of the President in his or her absence. The President of NCM Student Council 2015 is Sujina Dhakal .To act as an official spokesperson for the council in its relations with the students and the college administration is her duty. She has to call meetings of the council and prepare the agendas, chair the meetings of the council, supervise the task of the council members, take part in all special committees formed by the council, send representatives to such committees and to represent the students on official occasions. The Vice-presidents of the council is Alisha Singh Thakuri and Anuska. To advice and assist the president, to coordinate the work of non-elected students involved in the organization of college activities: newspaper, environment, college dances etc, to act on the behalf of the president when she cannot be present are their primary roles. Pratikshya Basnet is the secretary for the year. The Secretary takes the minutes of the council meetings and sends letters when required by the council. She also prepares the agenda for each meeting and then circulates it to all the members of the council either in advance of the meeting or the beginning. This will involve consulting with the other council officers in order to decide what will be included in the agenda. She keeps a record of the council meetings and any decision taken by the council (the minutes). If necessary, these minutes can be circulated to all members of the council either with the agenda for the next meeting or at the start of the next meeting. Ideally the student council has Sonisha Maharjan as a coordinator. NCM student council member can volunteer to serve in this position. The student council coordinator serves as support and resources for the student council members, just as student council member fill this role for the students in their classes. They provide a welcome and general orientation to the role of student council representatives for newly elected members. One of the student council coordinators serves as the contact for faculty and staff to forward messages that need to be posted to the student forum. This year, it is decided that two PROS would be better than one, so we have two joint PROS, 1 from section A and the next from section B. The treasurers are Shovan Bajracharya and Smriti Nepal who are responsible for the finance of the council while the Public Relation Officer promotes the work of the council in the school and the community at large. They are accountable for managing any funds raised by the student council and should keep a complete account of all income and expenditure of the council advice and assistance in this regard may be provided by college management or teacher acting on its behalf. As a general rule, any payments made by the treasurers should be counter-signed or endorsed by another member of the council or a teacher designated for the purpose. The current head of this club is Nelson Jung Bhandari who is responsible to organize entertaining events that best meets the need of every student. He should make college environment friendly and coordinate the activities for refreshment and recreation to aid in the organization of education recreational activities proposed by council. 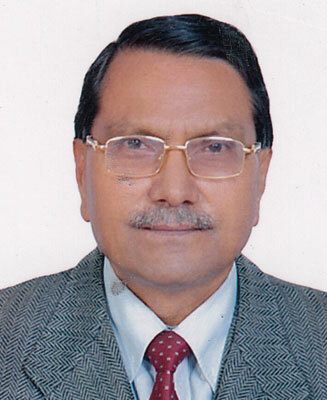 The current head of this club is Kuber Jung Pandey who plays a role for usage and safety of the sports facility. Depending on the facility there may be certain rules regarding dress code and usage that a sports director must enforce. He should organize some competition relating to sports but this can entail the hiring of new coaching staff. Working with him is essential to ensure their continued satisfaction when it comes to their jobs. Ina Shrestha is the leading head of the social club. This club focuses on societal development. She is accountable to encourage college’s students and teachers for helping people with variety of problems and needs. She is the foremost president of the Leo Club of Bagmati as well as for the day-to-day activities of an agency or program. She also organizes the programs related with social service. Pratikshya Sharma is sworn in as the head of the intellectual club. She brings in the idea of organizing creative and interesting events. The created items may be intangible (such as an idea, musical composition or a joke) or original physical objects (such as invention, literary works or paintings). It is a new committee inaugurated in NCM Student Council of 2015. Sunayana Shrestha stands as the head of this committee. The publication of magazines, news, reports and notices of the student council as well as the college is done by this committee. 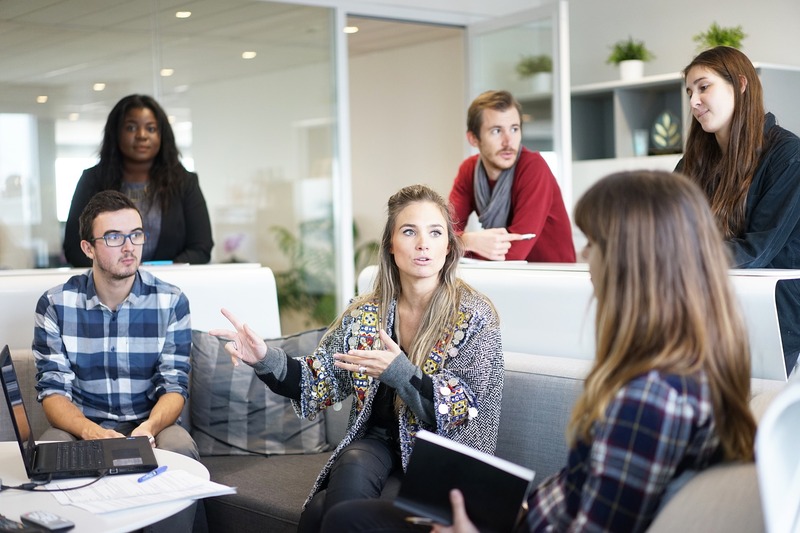 Rather than trying to plan and organize every activity during the year, a student council finds that it is more effective to use subcommittees to plan and oversee specific council activities. It is a matter of council to decide how many members of the council will sit on a subcommittee and the council may choose to dissolve a subcommittee at any time.